Scale is the relationship that the depicted feature on map has to its actual size in the real word (more: map scale). All maps are modeled representations of the real world and therefore the features are reduced in size when mapped. In other words, scale is the measurement of the amount of reduction a mapped feature has to its actual counterpart on the ground. All maps will have an indicator of the scale of the map. A map that doesn’t conform to a specific scale will be indicated by the words “not to scale” (or NTS). This notations is most commonly found on graphic style maps such as the “we are here” or “how to get here” style maps used on invitations. Since GIS relies on a minimum threshold of accuracy and precision, all GIS based maps will have a scale. There are three ways to show the scale of a map: graphic (or bar), verbal, and representative fraction. Graphic scales, also know as bar scales, as indicated by the name, show the scale graphically. A verbal scale is text based, with the scale shown as a number and type of unit measurement equal to a specified unit measurement on the ground. The left side of the verbal is the unit of measurement on the map and the right side of the ratio is the unit measurement on the ground. For example the verbal scale, 1″ = 100′ means that one inch measured the the map represented 100 feet on the ground. This type of scale is sometimes confused with Representative Fraction (RF) scales. RF scales is also a text based scale but no units are shown. The scale is a simple ratio of map to ground measurement with a colon between the two measurements . For example, a RF scale of 1 : 1,200 means that every one unit on the map is equal to 1,200 units on the ground. There is no notation of the actual unit type used on a RF scale. Therefore a RF scale of 1:1,200 is the same scale as a verbal scale of 1″ = 100′. Maps are described as either large scale or small scale. Large scale maps show a smaller amount of area with a greater amount of detail. The geographic extent shown on a large scale map is small. A large scaled map expressed as a representative scale would have a smaller number to the right of the ratio. For example, a large scale map could have a RF scale of 1 : 1,000. Large scale maps are typically used to show neighborhoods, a localize area, small towns, etc. Small scale maps show a larger geographic area with few details on them. The RF scale of a small scale map would have a much larger number to the right of the colon such as 1 : 1,000,000. Small scale maps are used to show the extent of an entire country, region, or continent. The larger the scale of the map, the better the features that can be detailed. A map that shows the water network of a small area may show the river as a polygon layer and will show the tributaries of that river. A small scale map covering the area would show that same river as a line feature and the tributaries would be removed (a process known as generalization). 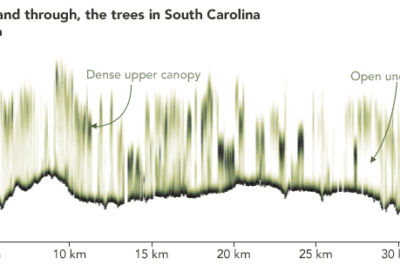 The smaller the scale of the map, the less the actual detail of a feature is preserved. Smaller scale maps have river features that have the lines smoothed out whereas a large scale map would show more detail about the twists and turns of that same river. So why not show the same level of detail regardless of the map scale? There are two main reasons. The first reason is the noise level. Showing a lot of detail for features on a small scale map would cause a lot of confusion on the map. By reducing the amount of detail to show only the most important aspects of a feature, the map shows a clearer picture of the area. The second reason is the file size. Features that have a lot of detail are larger in file size. For a small scale map, loading several large layers will slow down the map production. Marina del Rey is an area of Los Angeles County that has one of the largest man-made small boat harbors in the United States. 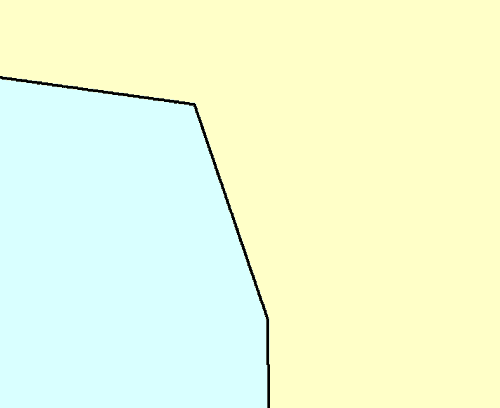 The representation of this harbor on maps of the area is dependent on the scale of the layer used. The layer showing the counties for the entire United States shown in the image below has a very generalized coast line for this area. The is almost no detail in the coastline and the harbor is not represented at all. Marina del Rey area on a small scale map. The harbor is not shown at all on the map. 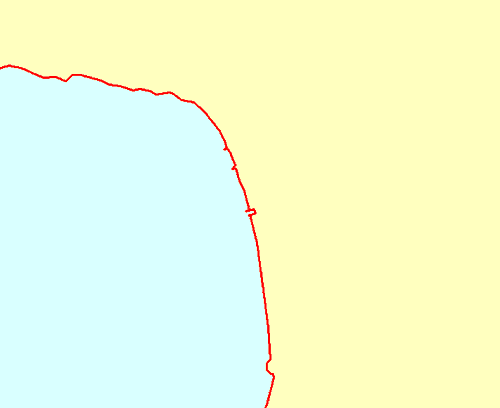 The map below shows the same coastline with a layer of all counties for the state of California. While still a small scale layer, the coastline shows more detail. 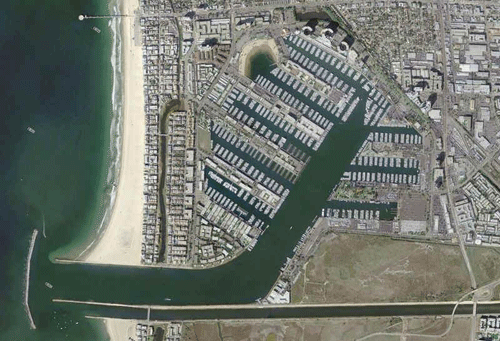 The Marina del Rey harbor is represented by a small inlet on the map. 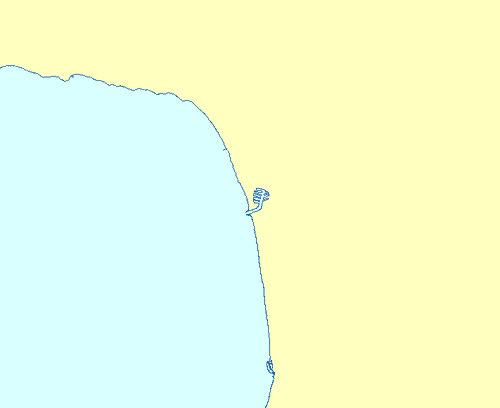 Marina del Rey area on a county map of the state of California. In a large scale layer created to show just the County of Los Angeles boundary, the coastline for this area contains the highest level of detail, and a recognizable harbor is represented. Marina del Rey at the county level. The examples of how the detail of a coastline changes depending on the scale of the layer helps to illustrate as well the importance of carefully considering the scale of any data used for mapping and spatial analysis. Small scale data inherently is less accurate and less detailed than large scale data. Using small scale data for large scale analysis can lead to gross errors. 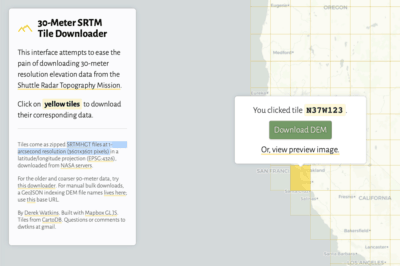 Data created for small scale purposes should not be used in large scale maps. Large scale data unless generalized, should not be used in small scale maps. 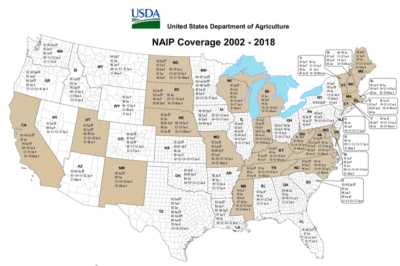 What’s in a Map? – Understand the basic elements that make up a well formed map. Cartographic Resources – Resources for learning more about cartography and cartographic techniques. The article is a part of the growing GIS Essential series, featuring information about basic concepts used in GIS.